Youngster Sudheer Babu tasted success with Sammohanam recently and the film went on to impress the multiplex audience. The actor is turning producer with Nannu Dochukunduvate which is carrying decent buzz. RS Naidu is making his directorial debut with this romantic entertainer and Nabha Natesh is the female lead. 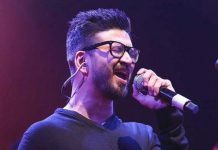 The makers announced that the film would hit the screens on September 13th all over some time ago. 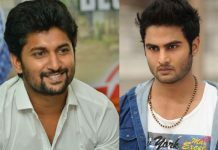 With Naga Chaitanya’s Shailaja Reddy Alludu and Samantha’s U Turn heading for the same day release, Nannu Dochukunduvate walked out of the race. Nannu Dochukunduvate will now hit the screens on September 21st all over. What’s so surprising is that Naga Chaitanya and Samantha announced the release date of Nannu Dochukunduvate through their twitter handles. Sudheer Babu Productions bankrolled Nannu Dochukunduvate and the teaser received overwhelming response. 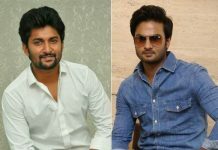 Sudheer Babu in Nani’s Next?